From the Pulitzer Prize-winning critic comes an impassioned critique of America’s retreat from reason We live in a time when the very idea of objective truth is mocked and discounted by the occupants of the White House. Discredited conspiracy theories and ideologies have resurfaced, proven science is once more up for debate, and Russian propaganda floods our screens. The wisdom of the crowd has usurped research and expertise, and we are each left clinging to the beliefs that best confirm our biases. How did truth become an endangered species in contemporary America? This decline began decades ago, and in The Death of Truth, former New York Times critic Michiko Kakutani takes a penetrating look at the cultural forces that contributed to this gathering storm. 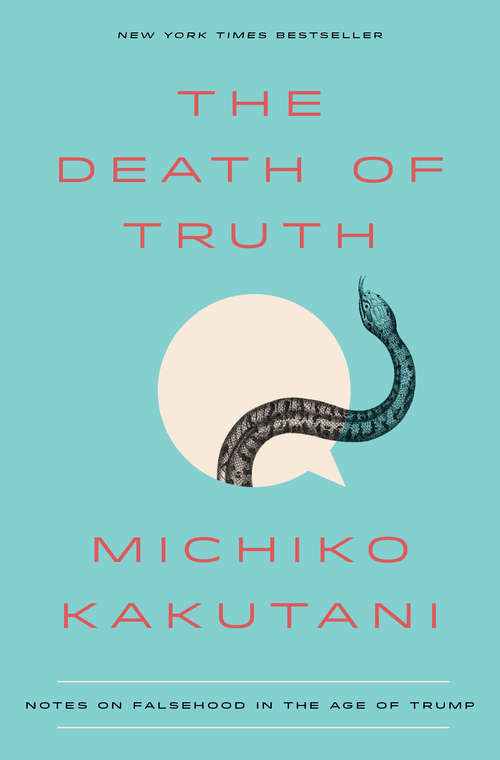 In social media and literature, television, academia, and politics, Kakutani identifies the trends—originating on both the right and the left—that have combined to elevate subjectivity over factuality, science, and common values. And she returns us to the words of the great critics of authoritarianism, writers like George Orwell and Hannah Arendt, whose work is newly and eerily relevant.